Identity & Access Management is not just for Security its for Business! Sure, Identity & Access Management ticks the boxes for IT Security requirements for both internal IT security policies and external governance and compliance requirements and that alone is justification for some organisations to invest in an IAM solution. Reduce Costs and Increase Business! Increasing business of course should be the main goal for any size organisation as its seeks to either maintain market position (by controlling customer churn) or attract new customers away from the competition. After looking at the most important benefits of Identity and Access Management and the increased security levels you can achieve with Identity and Access Management and its strategic benefits to the enterprise I will now look in part (3) of my little blog series on “Measurable IAM benefits – an infrastructure task” at the costs of identity and access management in more detail e.g. software licenses, maintenance, implementation and operating costs. How do you do an IAM cost calculation? 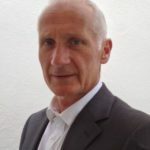 Dr. Axel Kern has been in management positions with Beta Systems for more than 20 years, with a high level of experience in Development, Portfolio & Solution Management, and Consulting. Graduating and getting a PhD degree at one of the leading German Technology Universities in Braunschweig he brings an exceptional background and knowledge of IAM solutions and their practical use with him. His deep knowledge of the IAM industry gives value to any project. He combines the ability to lead his team members and to prepare his customers at the same time in the right way to achieve excellent project results.